“CSL’s 4-port RFID Reader and Ultra-thin RFID antenna delivers outstanding accuracy at half the price of competitors” - David Bray, managing director, RFTech LTD. Here at CSL we’re excited to announce the new CS6821 ID access card, delivering much higher read range performance than previous tags. In addition to its increased power, the CS6821 tag design offers the ability for hole punch on all four sides for exceptional versatility. The new CS6821 RFID tag has a read range of up to 15 meters, enabling accurate and reliable tracking and identification of personnel. 1) Re-organized download sections for General User and for Developer. General User section contains installers and documents only. Developer section contains SDK and documents. 2) Updated all user manuals, programmer’s guide and reference manuals. 3) Added source codes and updated all demo applications. 4) New demo applications for assorted operating system and programming languages added. 5) All firmware and firmware upgrade tools updated with release notes/history. 6) Added special notes to help on common difficulties and FAQ. 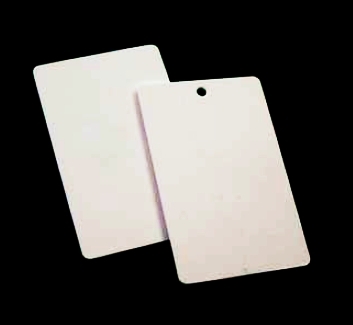 7) New support documents for new products such as cold chain tags, CS208 RFID Reader, new passive RFID ID card, combo BAP ID card, etc.